With the release of Yash starrer 'KGF', one can safely say that South Indian films are beginning to dominate the Indian market. After the stunning box office collections that are coming in, the film's lead, Rocking Star Yash has something to say on the film's resounding success. With the release of Yash starrer 'KGF', one can safely say that South Indian films are beginning to dominate the Indian market. The way the film has been received and the phenomenal collections at the box office speak volumes about the same. At the moment, the Prashant Neel directorial seems unstoppable as it is all set to cross Rs 80 crore in just four days. Now, the film's lead, Rocking Star Yash has something to say on the film's resounding success. Speaking about the same he said that he is really happy with the response they have received. Talking about the film beating Shah Rukh Khan's 'Zero' at the box office, the actor said that it wasn't his intention and that ideally, all films should do well. However, he did mention that he was stunned by how the North Indian audience is embracing the action flick. He revealed that they don't even know who he is and yet clap and cheer at his entry, which has truly surprised him and the 'KGF' team. Yash also revealed the reason behind an ambitious project like 'KGF'. He said that the Kannada film industry has always been considered as underdogs and that he wanted that trend to end and the world to truly see their potential. Well, looking at box office numbers one can safely say that they have succeeded in doing so. Thanks to the widespread release in over five different languages, the Prashant Neel directorial has succeeded in pulling off the feat of earning nearly Rs 80 crore in the first few days. At this rate, it is easily expected to cross Rs 100 crore within the first week. 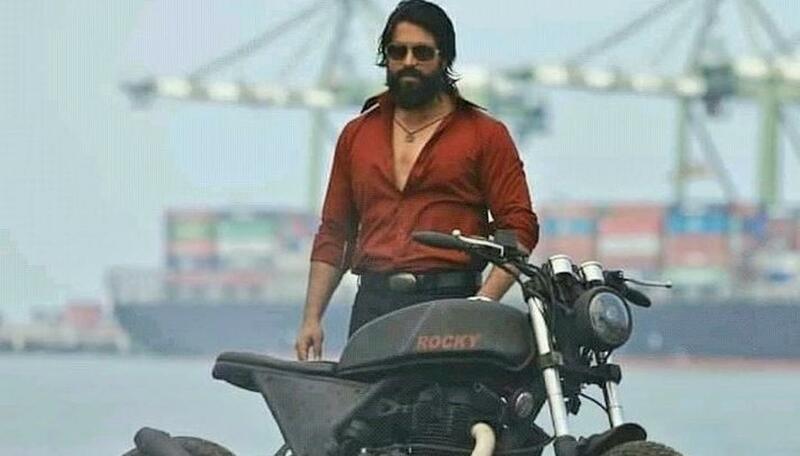 Touted to be mounted on a colossal budget of Rs 80 crore, 'KGF' is the second South Indian film that is literally making a huge impact on Indian cinema in 2018. The first was, of course, the Rajinikanth and Akshay Kumar '2.0', which has effectively beaten films like Aamir Khan's 'Dangal' and 'Baahubali: The Beginning' in India. Did Namrata Shirodkar Hint At Sharing Screen Space With Husband Mahesh Babu ?